Everyone’s choices matter in this epidemic. Patients, doctors, politicians, parents, caregivers. It’s like Coach K says about leadership. Leaders are the center of the wheel. I want to be the center of the wheel in a movement to keep families together and keep America healthy with proper pain management. I have grown to care passionately about the opioid epidemic in the country. This is a completely man-made catastrophe. And we are the only ones who can solve it. Everyone’s choices matter in this epidemic. Patients, doctors, politicians, parents, caregivers. It’s like Coach K says about leadership. Leaders are the center of the wheel. I want to be the center of the wheel in a movement to keep families together and keep America healthy with proper pain management. 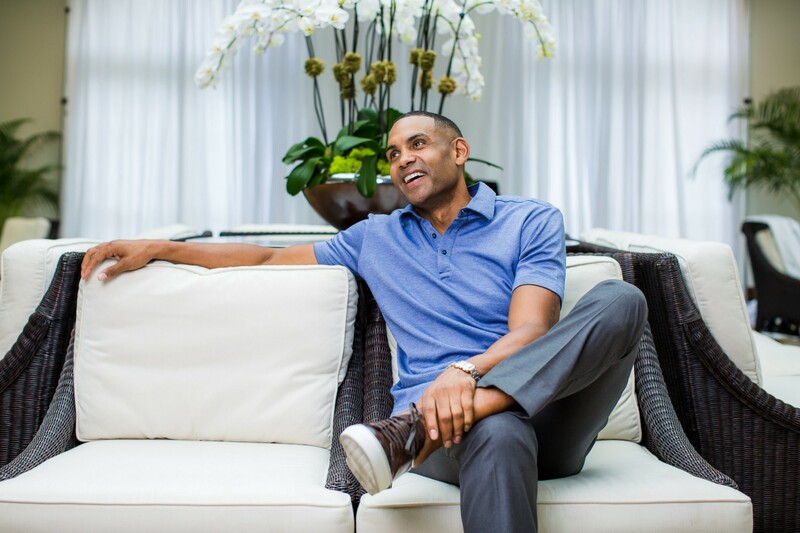 I had the pleasure of interviewing Grant Hill. 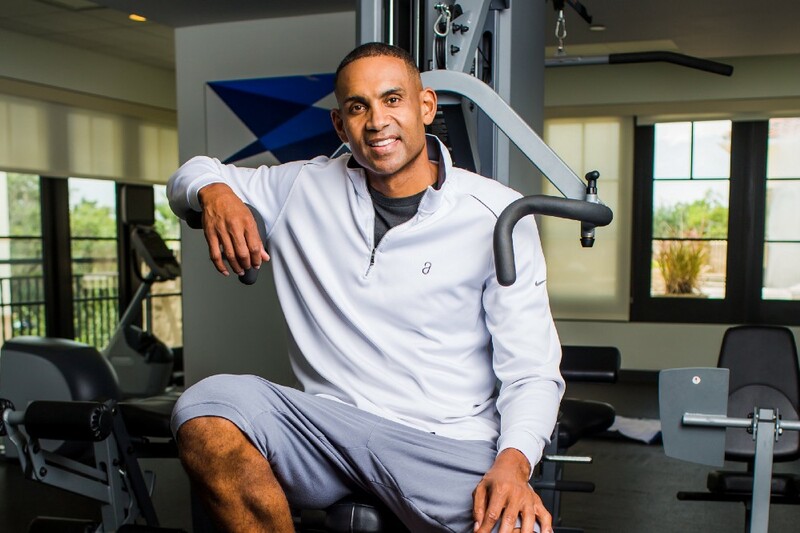 Grant Hill is a seven-time NBA All-Star, member of the Naismith Memorial Basketball Hall of Fame Class of 2018, and a lead analyst for TNT and CBS on their NBA and NCAA Tournament broadcasts. Throughout his college and pro career, Grant was widely considered to be one of the best all-around players in the game until injuries and surgeries hindered his ability to play. 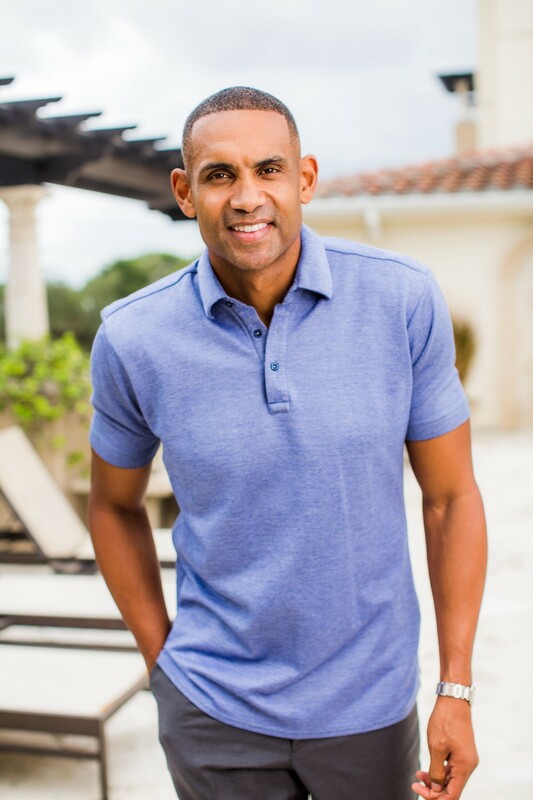 Grant retired from the NBA in 2013, after 19 years in the league, and is currently a part owner of the Atlanta Hawks Basketball Club. Absolutely, as a professional athlete, I am no stranger to injuries and surgeries. In fact, surgery pretty much shaped my career. I had 11 surgeries over the course of my college and pro career, which led to me being prescribed opioids for the pain. At the time, I had no idea about the issues with overuse or addiction — I just didn’t like how they made me feel. When I learned that there were other options for managing pain after surgery, including non-opioids, I was encouraged to join the Choices Matter campaign to help educate and empower others to discuss their pain management options with their doctors. Most recently, years of activity on-and-off the court took a toll on my knees and I had to have two more surgeries. As a health-minded person in general I always tried to stay in the best shape by exercising and eating right. When I had to have surgery, I knew I didn’t want opioids because of the side effects and I know how addictive they can be. Whenever I was prescribed them in the past, I always tried to get off of them as quickly as possible. Luckily my surgeons used a long-acting numbing medication injected during surgery to control pain and limit the need for any opioids during my recovery. My recovery experiences following my most recent surgeries were very different than the ones I had early on in my career. Back then, pain was a major hurdle and opioids were my only option to cope with the pain, but this time I didn’t take any opioids at all. It’s important that we take ownership of our health, and know our options when surgery is necessary. Patients need to know that there are non-opioid options available that can effectively manage pain after surgery while minimizing, or even eliminating, the need for opioids. Patients have control over their recovery. They should feel empowered to speak with their doctor prior to surgery and ask about their options for pain management, including non-opioids. A recent national survey found that one in 10 people became addicted to or dependent on opioids after surgery. More surprising was that patients are getting an average of more than 80 pills each following surgery whether they need them or not. This was eye-opening for me because you don’t often think that something as routine as surgery can become a gateway to opioid dependence. And these pills are being left in people’s homes, which can often lead to them getting into the wrong hands. The Choices Matter campaign is designed to educate and activate patients to feel empowered to proactively discuss pain management, including non-opioid options, with their doctors. Our goal is to arm patients with the knowledge they need to ask the right questions during pre-surgery conversations and, hopefully, limit the need for opioids after surgery. I recently had the opportunity to speak at an event for Shatterproof — a national nonprofit organization dedicated to ending the devastation addiction causes families — and I met several people who have been personally affected by the epidemic. I heard inspiring stories and tragic stories of loss, but I also heard from people who were touched by the Choices Matter campaign and empowered by the movement. Many people are unaware that they have a choice when it comes to pain management, so it’s comforting to know we can provide different resources — and hope — for these families and people. Can you share something about your work that makes you most proud? Is there a particular story or incident that you found most uplifting? The opioid epidemic is a huge problem where my family lives in Florida. My two daughters, Myla and Lael, and my wife, Tamia, have often asked me lots of questions about the opioid epidemic especially since I partnered with Choices Mater. Nationally, it affects all sorts of communities and penetrates our schools around the country. Having my daughters ask me questions about the work I’m doing and the different people I’m meeting that have been both affected and that can affect change in this space…that makes me the proudest. Can you share three things that the community and society can do to help you address the root of this problem? Can you give some examples? There are several things that members of the community can do to help address this issue. · First, patients and caregivers can visit www.PlanAgainstPain.com to download a patient discussion guide. This guide can help facilitate conversations with doctors prior to surgery about non-opioid options to manage pain. · Additionally, those who have prescription opioids in their homes should dispose of them properly. Most local police departments are safe drop-off locations for unused medications. A recent report found that nearly 90 percent of patients with leftover opioid pills didn’t dispose of them properly. And many kept them in their homes and shared them with family or friends. · Finally, patients can pledge to take a stand against opioid overprescribing at www.PlanAgainstPain.com. I know that this is not easy work. What keeps you going? I have met so many families that have been impacted by this epidemic. The more you have these hard conversations, the more you learn that everybody has been affected by this epidemic in some way. Everybody knows somebody who has struggled with addiction or has lost a loved one. And so much of this tragedy is preventable. Proper pain management is necessary…I know from experience. But both doctors and patients have to be responsible for properly managing pain. This is a partnership. I am honored to play a small role in this ongoing dialogue. Absolutely, I believe that if we all work together, we can combat this issue. I can trace much of my philosophies on leadership to my college coach at Duke, Coach Mike Krzyzewski. Coach K preaches trust and personal responsibility in leadership. Coach K describes a wagon wheel as a complete team. The leader is at the center of the wheel. The spokes are the connecting relationships the leader is building with people on the outer rim of the wheel. If the hub is removed, then the entire wheel collapses. If a team loses the leader, the entire team collapses. Leaders keep trains on the track. “If you want respect, you have to give respect”. It’s simple but it’s how I try to live my life. Barack Obama. My wife and I have been fortunate enough to get to know him and Mrs. Obama. He has done so much good for others and defines servant leadership. He is humble and always on a quest to learn more. He also has a knockdown jump shot.